Rebecca is an Assistant Professor-Acting Specialist in the School of Theatre Arts and Dance at The University of Northern Colorado. She moved to Colorado in 2017 from Philadelphia, PA; in Philadelphia, she taught college acting, musical theatre, voice and movement, speech and dialect performance courses for the past eight years. 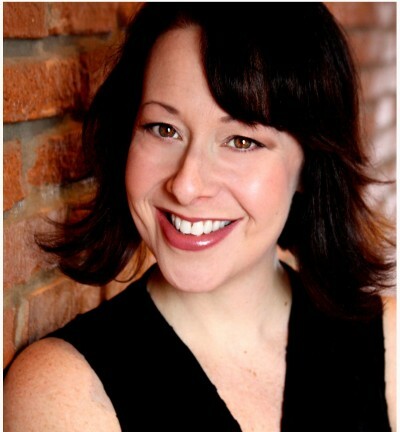 In addition to course teaching, Rebecca directed college level production musicals, cabarets and special performances, worked as a dialect/voice coach and in casting. She gives private Michael Chekhov Technique workshops for groups and individuals, and coaches students privately for auditions. Prior to joining academia, Rebecca called New York City home for almost 15 years and enjoyed an extensive performance career, crossing the country in a National Tour of Guys and Dolls, originating roles in Off-Broadway musicals, such as Zombie Prom (original CD cast recording), and appearing in numerous productions for LORT/regional stages all around the country. She has worked with leading industry professionals, including: Stephen Colbert, Amy Sedaris and Bob Balaban (on the Comedy Central-TV Show “Strangers with Candy”), with Kristen Chenoweth and Mary-Mitchell Campbell in a live concert event, the workshop of Zombie Prom, and through ASTEP.org, and with scads more phenomenal creative artists. Recently, she played The Countess De Lage in EgoPo's The Women in Philadelphia, and Mrs. Carol Strong in Little Theatre of the Rockies production of Catch Me If You Can. Rebecca is a 20+ year member of AEA, and an active member of MICHA-The Michael Chekhov Association since 2012; she currently serves as MICHA’s Production Manager for International Workshops and regularly trains with MICHA faculty.